Happy Thursday! How has your week been? How's this awesome heat treatment and great kick start to our Australian summer! I'm loving it!! What does summer mean to you? Let me share with you a short story that began on a beach during a summer day. While enjoying a cold glass of ice tea, Drew was inspired to create his own natural, low-calorie, real ice tea to share with friends and family back home in Australia. Returning to Sydney, he met a friend named Troy who happened to have the same vision as his. In a nutshell, Nexba was born. And guess what, this friend Troy is my friend too! I met Troy last year at The Ride To Conquer Cancer in Brisbane and we are a part of an amazing team called the Vision Crusaders. We have both been effected by this deadly disease so it's our small way to help raise money for cancer research to find a cure. It was so great catching up with Troy in Sydney last week and talking about some exciting surprises for #teamdani. Nexba is an all Aussie owned and made natural ice tea which is tapping the next generation for healthier drink choices. Innovated by these two young Sydney entrepreneurs, they claimed that this is a game changer among all sugar-saturated beverages. It's more than just a typical beverage, there are a couple of reasons why Nexba should be part of your hydration routine. I love that it's ALL natural. Each can contains 73 calories and about 50% less sugar compared to other ice teas. It's also antioxidant rich and fat free. Nexba is fruit infused for a great, natural taste. It comes in cola, too. But wait, it is still natural because of the green coffee extract which contains 99 calories only per can. Its extract comes from natural stevia plant with low-sugar content. Flavors include, peach, water melon, cherry lime, and natural brewnette. It comes in an aluminum can and has a 20 month shelf life. a. How about mixing some watermelon ice tea with margaritas? Let's raise our glasses for a hot summer cocktail night! b. 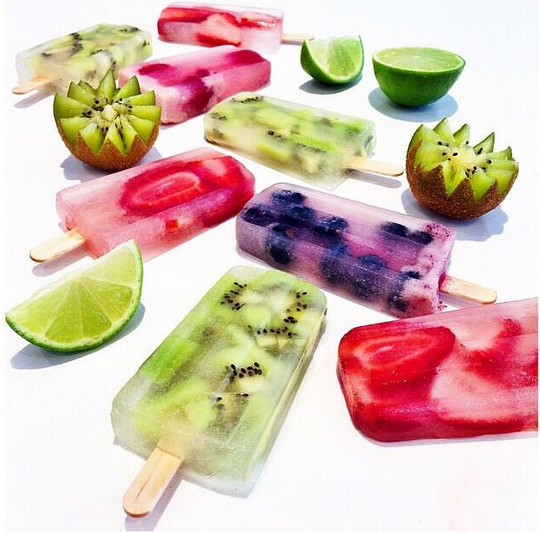 Summer weather calls for Nexba pops! Get creative with these lovely colours and shapes, our kids love them and I know yours will too! c. Have you thought of infusing out ice tea with pomegranate pods for an antioxidant boost? It's just a perfect morning drink. Tune in tomorrow for our special #teamdani giveaway so you can share with me what Nexba flavours you like the most! I would also love to see your Nexba creations so let's share them with the guys and use their hashtag #Nexba #IcedTea.